It seems like sports fans cannot watch any big (or not so big) game these days without it degenerating to a debate about officiating. You hear that the referees, officials, umpires, or linesmen are biased one way or another for some league agenda, or a personal bias, or because they are just incompetent. I'm here to tell you none of that is true. They are the best the world has to offer. There are hard and fast reasons that fans think officiating is worse today than ever, and good reason why fans are wrong. Let's elaborate. For this discussion I'll focus mostly on the four major American sports, you could certainly expand to FIFA, gymnastics, and more. These guys are professionals. No, really. Officials have and always will make mistakes. You know what? All human beings do. Even the best athletes in history. Babe Ruth struck out 1,330 times. Tom Brady has thrown 150 interceptions. Martin Brodeur failed to stop 2,764 shots. Michael Jordan missed 12,345 shots (more than half he ever took). You know what? Every referee has missed a call or three. Or couple dozen. But via ten or more camera angles (more in a minute) fans suddenly think a missed defensive hold or foul or check swing call is a crime against humanity. Yet when an offensive lineman blows a block coverage, a point guard throws an errant pass, a hockey forward turns over the puck, or a pitcher throws a fat pitch, nobody focuses on that as the reason their team lost. No, it's that one hold play that would have turned a second and long into a third and short (and consequently eight more successful plays for a score). Or turned a ball four that would have led to four more hits and a rally. Mistakes are always made. Mostly by the players we watch, but we can't blame them, we focus on the easy targets...the officials. So the next argument is that calls today are worse than before. Hogwash. Fans remember when umpire Don Denkinger missed a call that tilted the 1985 World Series in the favor of the Royals. Houston Oilers fans will lament the Mike Renfro catch that wasn't that cost them a Super Bowl shot. Basketball fans might recall a deluge of fouls called against the Sacramento Kings in the 2002 Western Conference Finals. This has always gone on, fans just react differently today than before. Now it's one thing to miss a split second judgment and another to miss a rule application. I agree that officials that don't apply the rule correctly (such as starting the clock when it should not) should be punishable by the league. But a referee that doesn't call a foul in a crucial situation or blows a phantom roughing call in hockey, they are just calling it as they see it. Let the fan who never makes a bad judgment call at work cast the first stone. The advent of instant replay (first in football, and now in all major sports) has been an advancement to correct honest judgment calls that go the wrong way. In every single sport, there are more camera angles than officials, so indeed there will be a camera catch something that an official cannot, it is just the math. Not to mention that replay can slow things down to a microsecond, further allowing fans to see something an official did not...and complain incessantly. A twist to this is how many times multiple replay angles are pieced together...and still have some ambiguity. 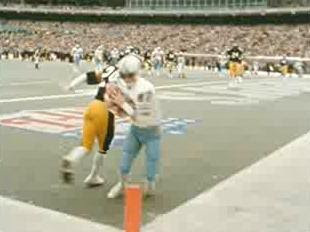 Was the lateral backward or not (see Music City Miracle)? Was the base runner's foot off the bag, or not? Did the ball hit off the offensive or defensive player as it ricocheted out of bounds? There are calls that I see on social media that about half the fans think one way, half the other. 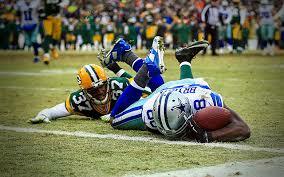 Like the Dez Bryant catch (more on rule specificity in a minute). Or was Aaron Rodgers facemask really grabbed the play before the miraculous Hail Mary against the Detroit Lions? And just like players, now officials can look at replays in between games, learn from their mistakes, and improve their calls next game. Just like Tom Brady knows his interceptions and corrects next time (but will likely make a new mistake...he is human, just like officials). Prior to 1990 watching a game, you may get one replay of a questionable call (and still not see half of the other calls missed) and move on. Now it is a microscope of scrutiny. Related, it used to be criticism of a blown call was reserved for a grainy instant replay shortly after the play, then perhaps some mention on the 11 o'clock news in the markets where the game played. Once ESPN exploded, you'd see some coverage on Sports Center but they would move on to get through their docket of games and highlights. Now within seconds of a questionable call, thousands of tweets, posts, and texts fly around on all sides of the equation. I have been guilty of this, I immediately pass judgment and argue with those who disagree with me on Twitter. 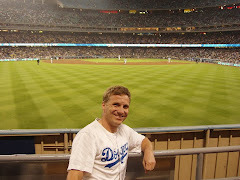 On the Dez Bryant catch, days later I was arguing with people why the were wrong (it was no catch, did not complete it through the ground, why is this hard). Everyone follows Mike Pereira on Twitter for his instant reaction (see below). Or wait for Mike Carey in the booth (to usually be wrong). 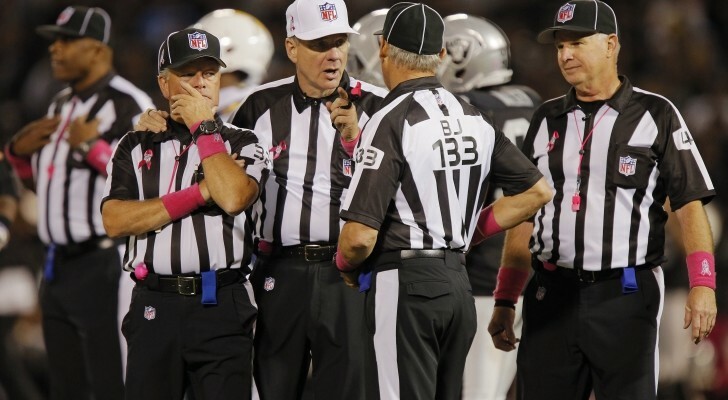 The mere fact that we have officials in sports broadcast booths shows how overemphasized fans are making the calls on the field (instead of the plays on the field). Sports analysts of all walks of life weigh in (why not, it is their job). This is all exacerbated by the duration of a replay review, where 3-4 minutes go by for fans to weigh in before a verdict is given. It's just a different time than before, leading us to think things are worse. Not to mention that suddenly fan bases feed upon themselves and explode into conspiracy theories. In the AFC Championship game, a couple of razor close pass interference calls in the first five minutes did not go the Patriots way, causing a wave of "it's fixed for Peyton" tweets. Never mind a bit later a forward pass was reversed to a fumble, giving the Patriots points (here is a clue, conspiracy theories outside of those games called by NBA referee Tim Donaghy are bunk). It happened in the Super Bowl too, fans are still lamenting a missed Carolina Panthers WR Jerricho Cotchery catch (and lack of overturn) versus the fact that flags flew freely on Aqib Talib later for a taunting play that could have been ignored but was not...because the referees are trying to do the best they can. a) MLB: Strike vs. ball. 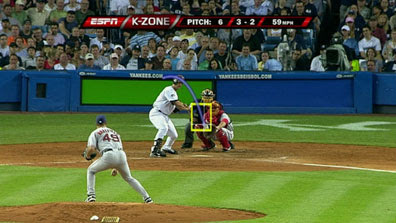 Now we have K-zone displayed on TV, which graphically displays what crosses a zone. But what is the zone? Defined by the hollow of the knees (I missed that in anatomy class) to the armpits (or is it letters). And is it by the batter's stance before the pitch, as he makes his stride, or ducks down trying to buy a call? It is what it is, umpire calls it and we move on. K-zone never lies. But how can an umpire get it right every time? b) NHL: Skate in the crease. I'm not even sure if this is still a rule, but it sure was in the 1999 Stanley Cup Finals where replay after replay scrutinized whether Brett Hull of the Dallas Stars skate was in the crease before, during, or moments after an overtime series winning goal on the Buffalo Sabres Dominik Hasek. c) NFL: In addition to catch vs. no catch (i.e. Dez Bryant or Larry Fitzgerald), we have the tuck rule, targeting or helmet to helmet, intentional grounding, and a number of other WTF interpretations. Some of these are so ambiguous we're getting way more rule changes every year than we have ever seen before (baseball looking at the takeout slide which has been legal for 100 or so years, football looking at a catch, NBA going to change the foul penalty rule because of hack-a-Shaq). Look, I get it. The officials are against your team. It's clear. Because every 30-40 calls should go your way...but they do not. Turns out, there is some sort of expectation that officials make every call perfect, subject to scrutiny via replay, agreed to by both fan bases on social media, and even if the rule is ambiguous. Give me a break.